I've seen lots of "Lost Pets" signs over the years posted up around my neighborhood. Usually, the pets on those signs are dogs or cats. 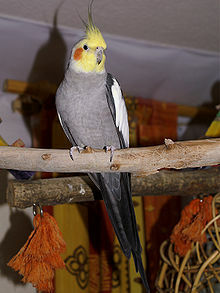 But a few months ago, I started noticing a sign in my 'hood, as well as other nearby neighborhoods, for a missing cockatiel. I remember at the time thinking it a little odd, and wondering how I would actually convince the bird to land on my finger if I did, in fact, find him. Yesterday, while on a run, I saw this sign for "George", the missing tortoise. How is it that these pet owners can't keep track of their pets that don't even go outside to use the bathroom? Aren't they sort of caged animals? Or are they just running and flying around in their backyard, until one day, they just went a little too far and couldn't find their way back home? Well, George...I hope you make it back to your owners...Although maybe you're happier out at the creek with the other Texas Tortoises, in which case, Run Free, George! Dearest sweet Kerri, it's really strange isn't it that pet owners' can't keep track of their pets. But over here, sometimes pets get stolen especially those expensive pets. Wishing you a lovely merry happy week and love to yoU! Well, he's probably out racing against the hare, yes?? Thank you Kerri for your comment. when we lived in NYC we saw a parakeet. He was someones pet and I tried to get him and almost did but he was too scared. :( we have a parakeet and before kids was out all the time, he never got out but sometimes if someone opens the door birds will fly out. sad. okay, well i can understand the bird flying off, but C'MON?!!! the tortoise on the run?! i'm not buying it. Too funny...once a bird gets out...I don't ever see them flying back home! As far as the turtle...come on...you know they don't make "quick" get-a-ways. Reminds me of my DH once when we lived in our old house and he went running down the stairs with my camera outside. So my son and I followed him and found him taking a photo of a turtle on the lawn. My son and I still tease him about it now...why on earth would he run down to snap the photo and the biggie for me was...HE never takes photos of family yet he runs to take a photo of a turtle...okay??? ?